Stay at Home Blessings: How Can I Get Mobile Internet Without Spending More? 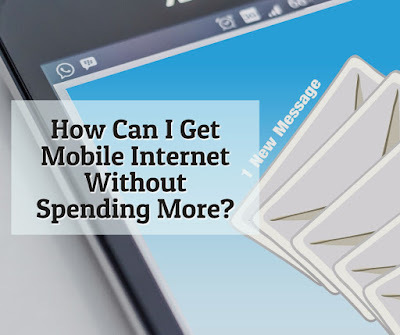 How Can I Get Mobile Internet Without Spending More? I've been thinking in the past month if it is wise for me to get pocket wifi. O, I received a call from a sales agent, but I declined to get a unit and subscription. I know other people will die (an exaggeration, of course) if they couldn't go online. They connect to the internet everywhere they go. But I'm not like that. My smartphone is not high tech because I mostly use it for call and text. So, why do I want to get mobile internet? It's just for the purpose of preparing for an emergency. As an online freelance writer working at home, I rely a lot on good internet connection at home. But sometimes unexpected situations happen. If there's no electricity or if there's a network problem, I can't connect online. If I can't connect online, I can't work. I searched for the rates of mobile internet offers by local network providers: Smart, Globe and Sky Mobi. I compared the features of the lowest plan for each network (See below). I wasn't really sure if these offers are worth getting. Thank God, I didn't get any right away because I discovered that I could get the mobile data I only need for a lot less. I'm not sure how helpful the following tutorial is to you. You probably know about it already. But since I'm not that tech savvy, I'm sharing it anyway for the benefit of those who are like me. Last August, during one of the special holidays, we visited our father. I don't have any freelance work then but we were scheduled to have a Skype chat with our brother. Unfortunately, there is no internet connection in the house because the modem is malfunctioning and is due for replacement. What can we do? First, we need to get mobile data using my smartphone. I am a Globe subscriber, so I got Go Surf 50, which is 1 Gb mobile data good for 3 days. Second, I used my smartphone as a hotspot so that I could connect our iPad, which we will use for Skype chat. Go to your smartphone's settings. Look for the gear icon. Click Tethering & portable hotspot. Set up Wi-fi hotspot, that is name it and put a password. Click to Turn ON the Portable Wi-Fi hotspot. Go back to Data Usage and turn ON mobile data. If you're not going to use your mobile data, turn this off to avoid unknowingly using up your mobile data. Third, I can now connect any gadget like an iPad, laptop, other mobile devices by connecting to my smartphone's hotspot. Just look for the Wi-fi (the name you gave) and use the password to get connected. Note 1: Be sure that your Bluetooth is turned off or else you cannot turn on Portable Wi-Fi hotspot. Note 2: I'm not sure if your smartphone has the same interface as mine. But I'm sure yours will be similar. WOW! I can't believe that my primitive smartphone had more uses than I imagined. We were able to connect our iPad to my smartphone's portable wi-fi. We chatted with our brother for more than an hour and there was some more data left for surfing or using FB messenger. I was also able to connect my laptop and I did some checking of my email and sent messages, too. By the way, if you're curious, my smartphone is a Cloudfone GEO 500q with 0.5 Gb RAM and 2 Gb ROM, I think. Hence, my thoughts on getting a pocket Wi-Fi device was laid to rest. Knowing that if my home internet connection fails and I need to get mobile internet, I can just use my smartphone to get 1 Gb of mobile data for just P50 per day with good enough browsing speed as back-up plan. To me, that's a lot of savings. If I won't be using this method for more than 18 days per month, this is way better than subscribing to P299 Pocket Wi-Fi plans with less monthly data allowance. I hope this post was helpful to you. Let me know your comments below. You are right, this is a great way to have mobile data especially if you don't need it 24/7. It is waaay cheaper too than those mobile date plans you mentioned. This post is actually very helpful and informative especially to those who don't use mobile data often. We actually got the Smart mobile WiFI last year, I think. We got it because our postpaid lines didn't have adequate data allocation. But I recently switched to a better postpaid plan with bigger data allocation so I just let my hubby use the mobile WiFi. He's the one who goes out to work anyway. Teethering is a life saver for me! It's my work back up. The other day, it was what I used to work and it was working fine, just like my main internet connection. 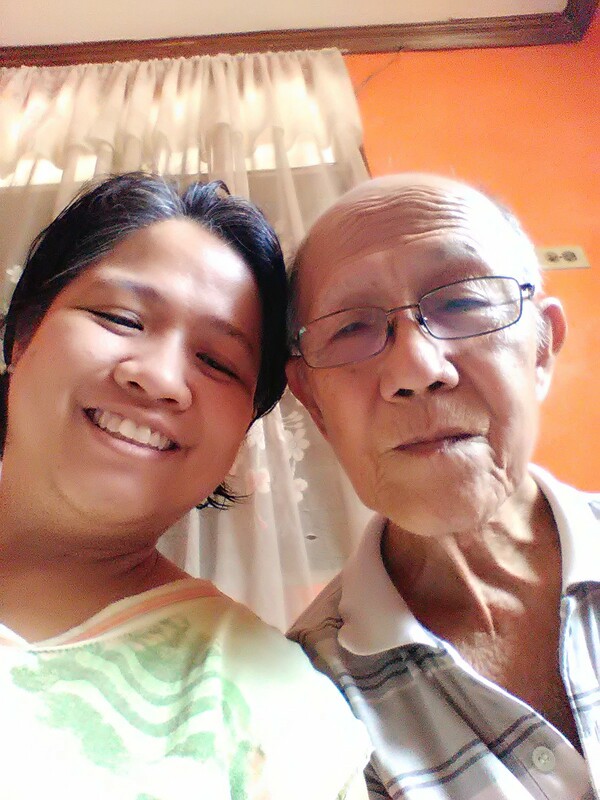 An internet connection is also important for me because my husband is an OFW. This is a great way to get mobile internet connection without spending a lot of money. Thank you for sharing this info Sis. I will forward this post to my Sister. I think my family needs this in Pinas. Hi. I also use of my smartphone as mobile hot spot when we are not at home. I will register to surf promo and it's also faster especially if your sim is LTE na. I have a wifi device and I am not using na hehe.